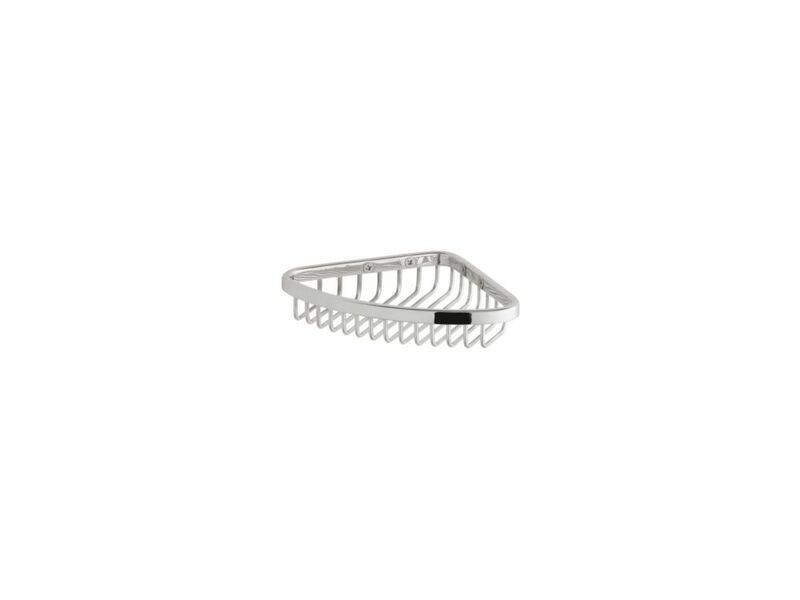 Small Shower Basket In Polished Stainless This corner basket mounts securely to your shower walls, providing convenient storage for essential bath items. Constructed from premium stainless steel to resist corrosion, the basket will provide years of durable performance. Small Shower Basket In Polished Stainless is rated 4.2 out of 5 by 5. Rated 2 out of 5 by CindyDenver from Disappointing: Quality good, however, Kohler’s “polished stainless” finish does not match “polish... Disappointing: Quality good, however, Kohler’s “polished stainless” finish does not match “polished chrome” fixtures. Kohler’s warmer stainless color does not match the cool blue of polished chrome. Strangely, both their polished stainless and polished nickel baskets match well with polished nickel shower/tub fixtures. Since Kohler does not offer a polished chrome version, I returned this basket to look for another option. Rated 5 out of 5 by oldsaw from ATTRACTIVE SOAP DISH IN OUR SHOWER WITH ABILTY TO NOT TRAP WATER UNDER SOAP. BOUGHT TWO OF THESE, ONE SMALL AND ONE LARGE TO MOUNT IN NEWLY REMODELED SHOWER,ALONG WITH TILE SHOWER SHELF PLENTY OF ROOM FOR ALL ACESSORIES FOR BATH. Rated 5 out of 5 by Robert from Sleek looking but suits many styles This is a long lasting product that cleans easily, when necessary in areas of hard water, with a paint brush and some CLR. Shines like new.